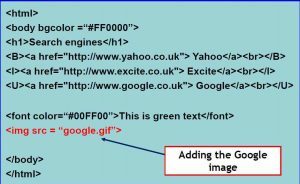 Add hyperlinks to HTML web pages. 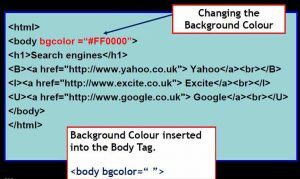 Add background colours to HTML web pages. 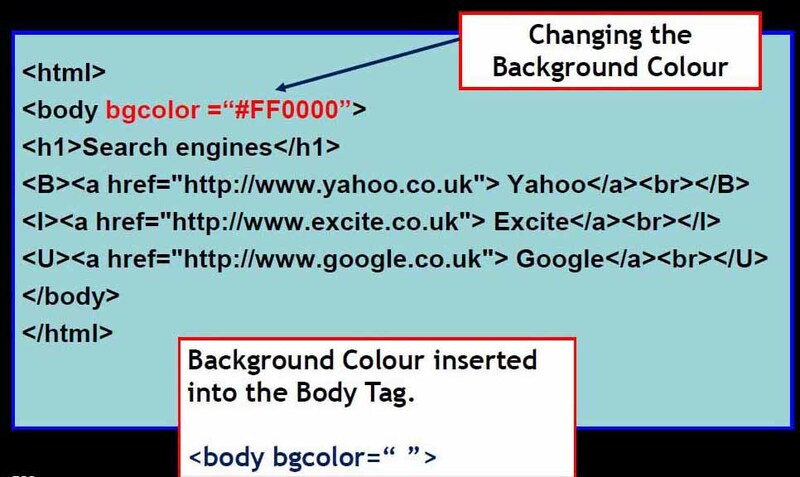 Add foreground colours to HTML web pages. 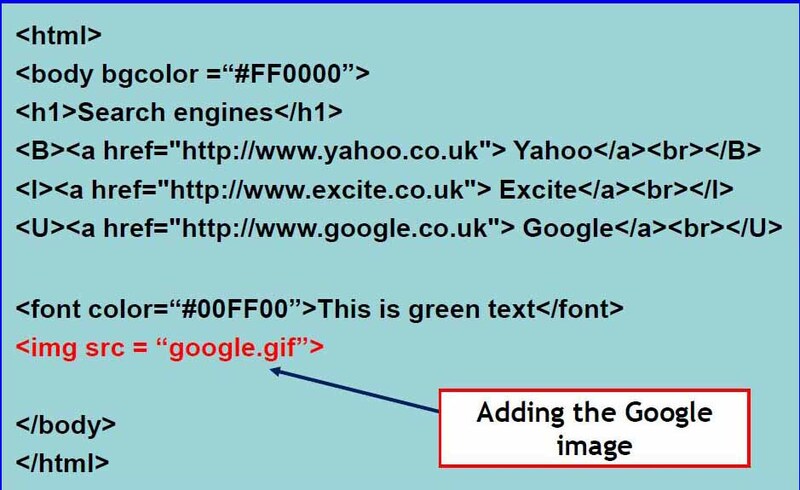 Add images to HTML web pages. Open web page you created last lesson. 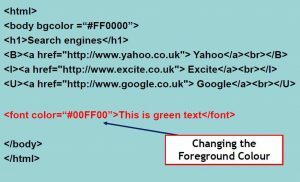 Access HTML source code (Right Click then View Source). Add Foreground and Background colour. Insert some images onto the web page. Save file with correct extension. 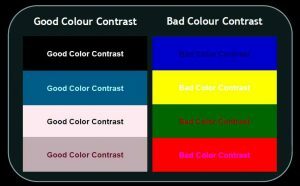 Web colours are changed using a hexadecimal code. Each colour has 6 characters 1st two characters determine the level of RED 2nd two characters determine the level of GREEN 3rd two characters determine the level of BLUE. Red, Green, Blue characters mix to make other colours. Characters have a # in front of them. Values of each character are scaled 0 – FF (FF = Full). 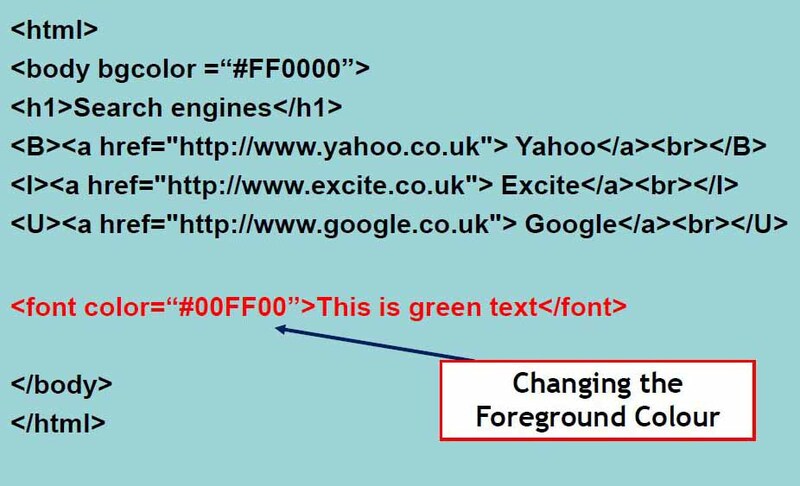 Add the RED HTML code as you see it in the image below. Refresh the Browser to view your updated Web Page. Try out a combination of Background/Foreground colours. 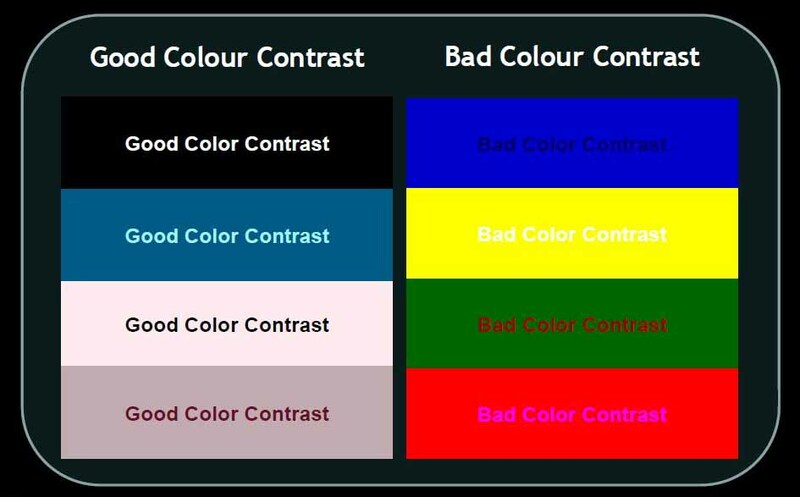 Try to get the Contrast of colours at a good level. Colours should not clash Text should be easy to read against the background. Find a suitable image of the Google logo from the web. Save the file into your Web Design Folder. You will need to save the image as google.gif. Add the RED HTML code as you see it on the image below. If you finish try adding an image for yahoo and excite.